The word “Asgard” must be no strange thing to many of us in this day and age. The adaptation of Norse Asgard into many movies has been making Asgard a well-known name. But what was Asgard in Norse mythology? The Old Norse word for Asgard was Ásgarðr. The word meant the Enclosure of the Aesir who was one of the two main god tribes in Norse mythology. The Aesir leader was Odin the Allfather and some famous Aesir gods might include Thor the Great God of Thunder and Storm, Tyr God of Justice and Honor, or Frigg, Odin’s wife, Goddess of Love and Motherhood, etc. These Aesir gods lived inside Asgard which was one of the Nine Worlds in the Norse cosmology. The most famous hall in Asgard was Valhalla, the Great Hall of Odin. In Valhalla, Odin would host many human warriors who had fallen in battles. There were some Vanir gods (the other god tribe in Norse mythology) who later dwell in Asgard after the two god tribes exchanged their hostages to seal the peace treaty. Asgard is located up in the sky and on the top branches of Yggdrasil Tree. There was a powerful Asgard Wall that protected the land of Asgard and the gods from the giant and any evil force. 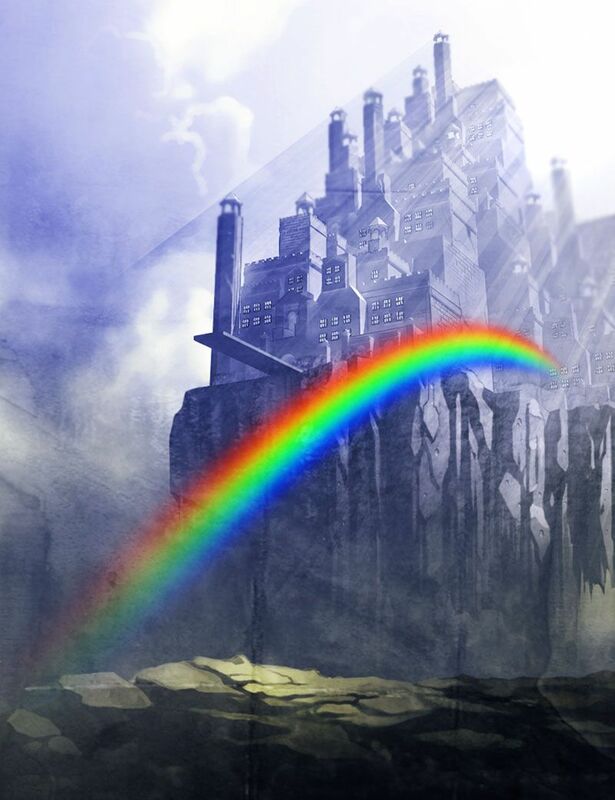 There was a rainbow bridge Bifrost that connected Asgard and Midgard the land of the human. The bridge later was destroyed when the giant army tried to enter Asgard during the event of Ragnarok. The -gard element in “Asgard” is an example of the ancient concept of the difference between “innangard” and “utangard”. The place of “innangard” (“inside the fence”) was an ideal place which was orderly, peaceful, law-abiding, etc. Meanwhile, the place of “utangard” (“outside the fence”) is a complete reverse place, meaning a chaotic and wild place. Asgard the land of Norse gods was the perfect example of innangard while Jotunheim the land of the giant (Gods’ enemies) epitomized utangard place. The cool thing is that Norse mythology had a place known as Midgard which was connected with Asgard through the rainbow bridge Bifrost. This place lay somewhere between Midgard and Jotunheim. And the place was not as innangard as Asgard or as utangard as Jotunheim. It was just somewhere in the middle. If we notice the -gard element in “Midgard”, we can see that Midgard was closer to Asgard than Jotunheim. Specifically, the Norsemen desired and built their society based on the divine model of Asgard and they worshipped the Norse pantheon the most.